It may not feel like Labor Day Weekend is right around the corner, but it is! And you know what that means, folks...time to bid farewell to Summer with North Coast Music Festival! 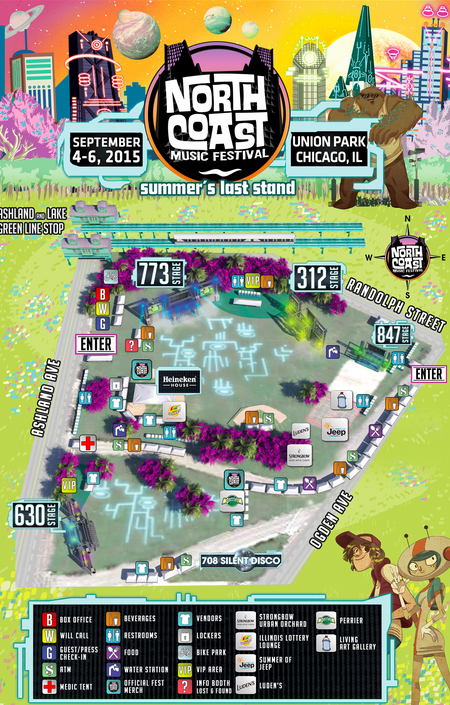 For those of you unfamiliar, North Coast is a 3-day music festival that takes over Union Park with 5 stages and 2 silent disco tents. Performances are a great mix of local, up and coming DJs, plus headliners such as: Knife Party, Steve Aoki, Porter Robinson, and Moon Boots. You're able to make your own customized schedule to make sure you don't miss a beat, and the set up of the fest makes it easy to toggle back and forth between, during, or after sets (unlike Lollapalooza). For those of you that don't want music festival season to end, don't worry. There's also an incredible line up of after party shows which will allow you to keep the party going even after the festival park closes at 10pm. TIP: Try to get in line at the after shows by 11pm for guaranteed entry. Even if you have a ticket, post 11pm you're not guaranteed into the concert. Having the itch and can't wait until next weekend to get the party started? Check our last year's recap video & make sure to snag your tickets NOW! Also, make sure to keep an eye out for the adoptedSTYLE team for a chance to be interviewed for EFG Mag, so that you can share your favorite highlights from this year's fest.